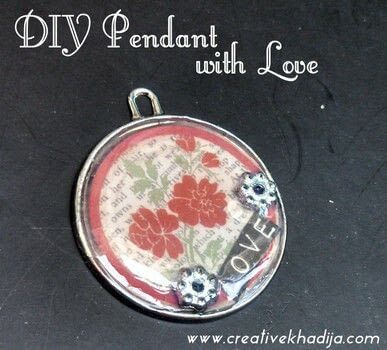 Jewelry making is a fun activity, I love making & selling my handmade jewelry items. Making takes time but the end result is always interesting. I made a pendant which is simply easy & pretty! just a little bit of effort & its done! 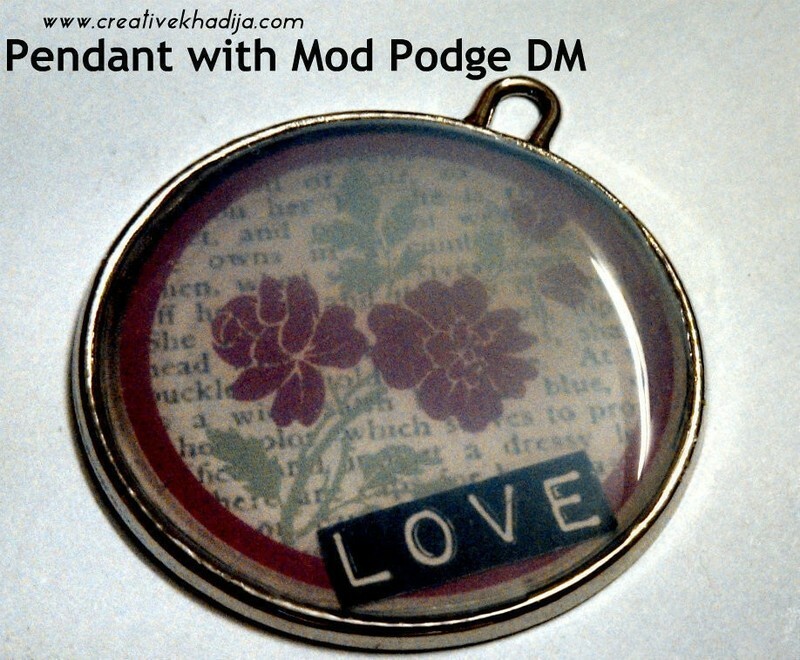 I am going to share a simple making of this resin pendant with some podgeable papers & mod podge Dimensional magic. I hope you will enjoy seeing its fun tutorial. For making a resin pendant, Gather supplies. 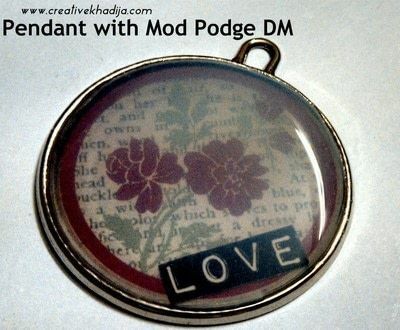 Cut the small pieces of podgeable papers according to your pendant or cabochons. 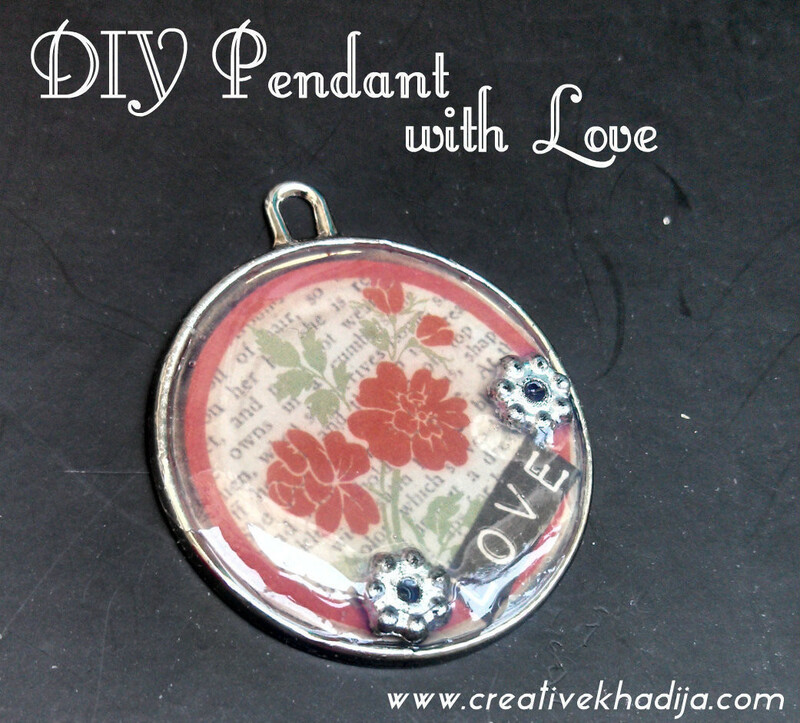 Paste the paper in the necklace & let it dry! As it will get dry, slowly start pouring DM liquid & fill the pendant. Now make sure there is no bubble. 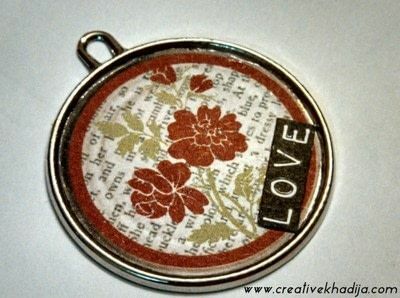 fix the beads around the LOVE alphabets. 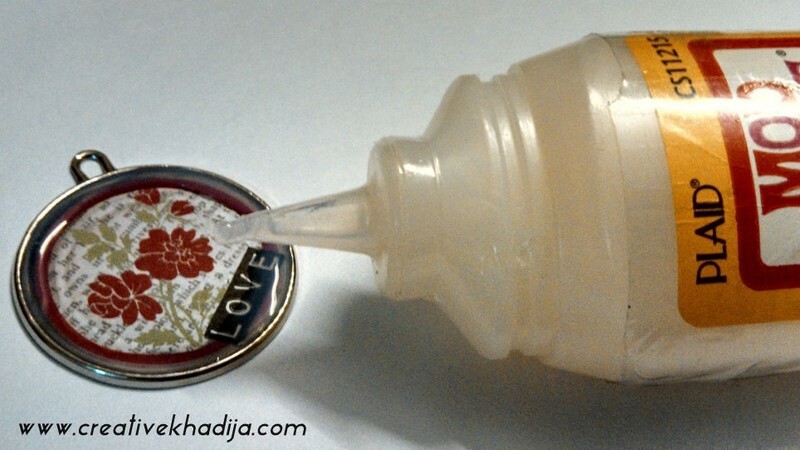 Wait almost an hour until it gets totally dry & transparent. so this milkish color will not be anymore. Fix a jump ring with pendant & add the chain or ribbon..anything you want to have for your necklace! 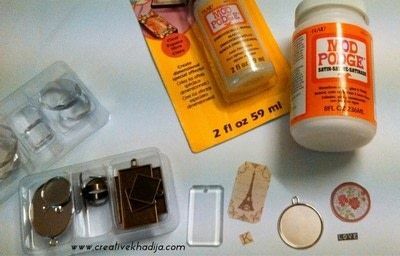 its super easy & fun! 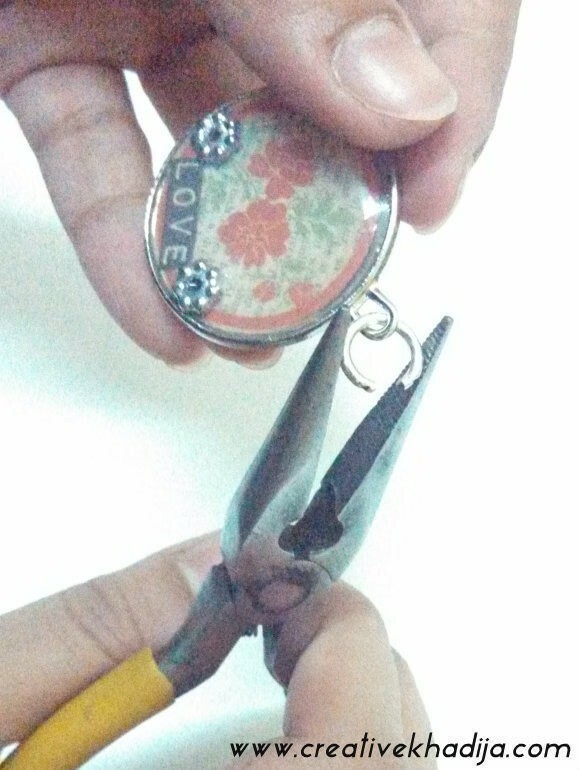 I hope you liked my tutorial, for more ideas & tutorials visit my website & I hope you will be enjoying my jewelry making ideas.